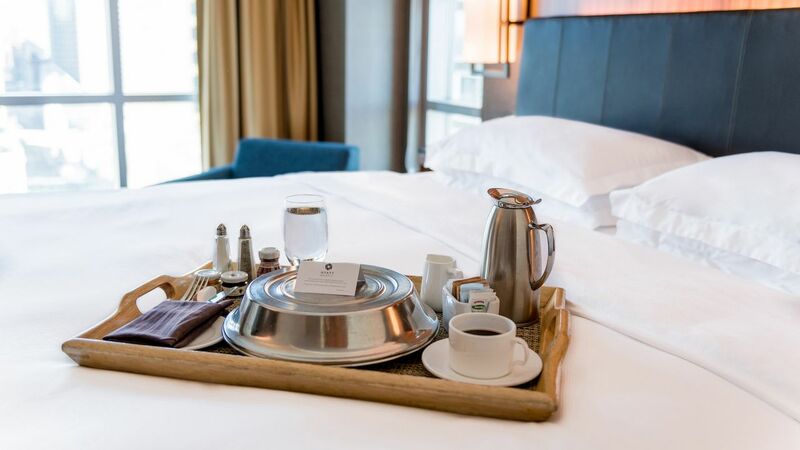 Whether you’re visiting town for a conference or just passing through on your way to the Canadian Rockies, you’ll find a comfortable retreat at Hyatt Regency Calgary. 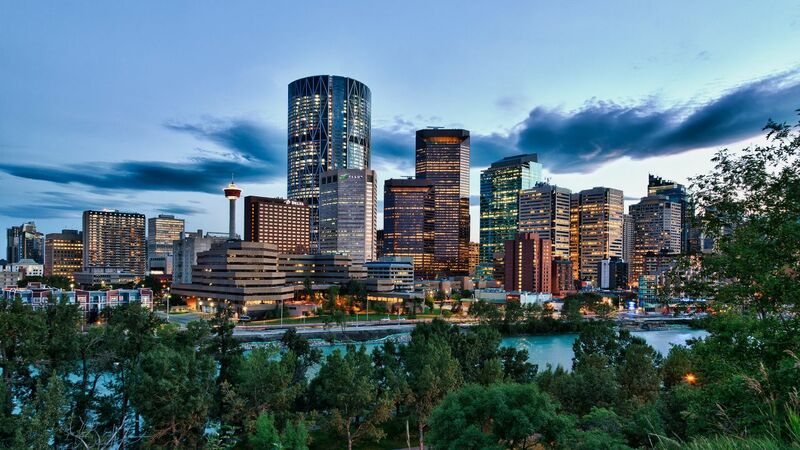 Venture outside to find the Calgary Tower, TELUS Convention Centre, Scotiabank Saddledome, and Stampede Corral—all just steps away. 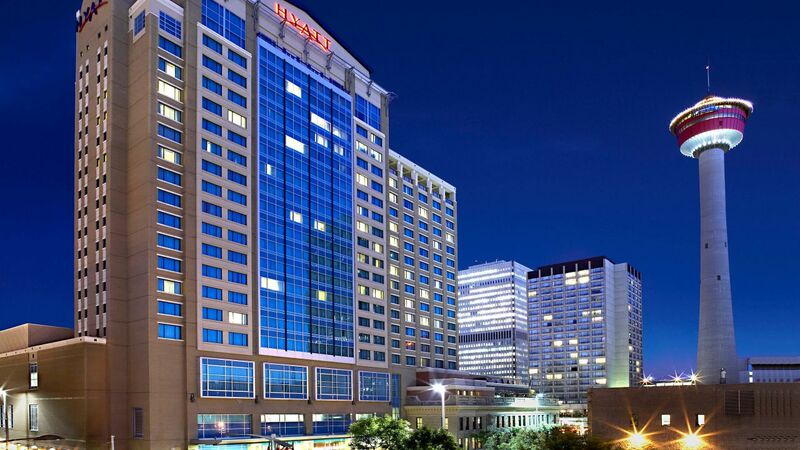 With soaring ceilings, customizable layouts, and 13,500 square feet of space beside the TELUS Convention Centre, Imperial Ballroom makes Hyatt Regency one of the best event venues in Calgary. 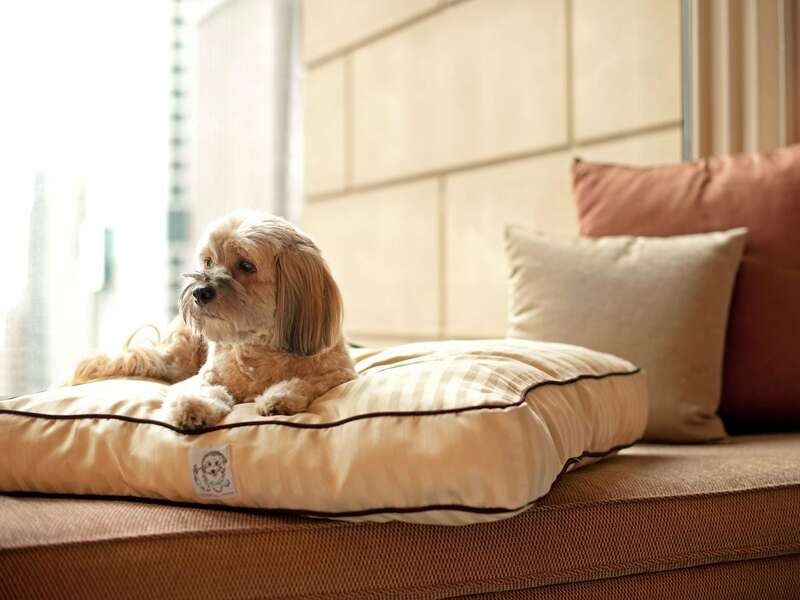 Discover bliss and tranquility in the center of the city. 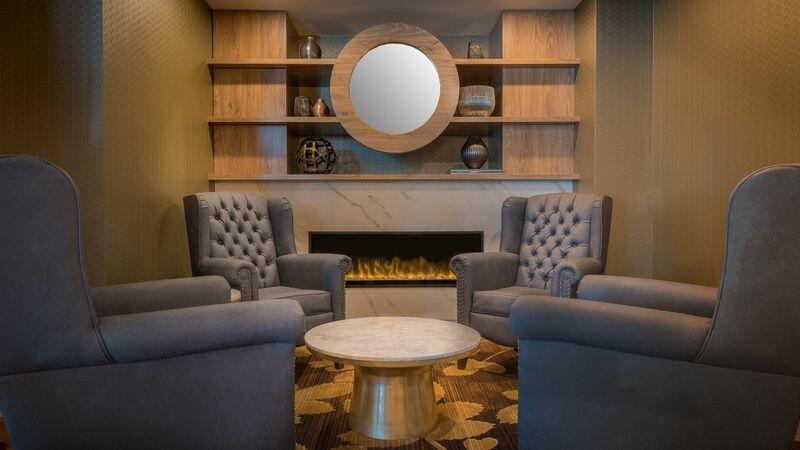 Stillwater Spa—the premier full-service hotel spa in Calgary—offers massages, manicures, and more to help you relax and recharge. 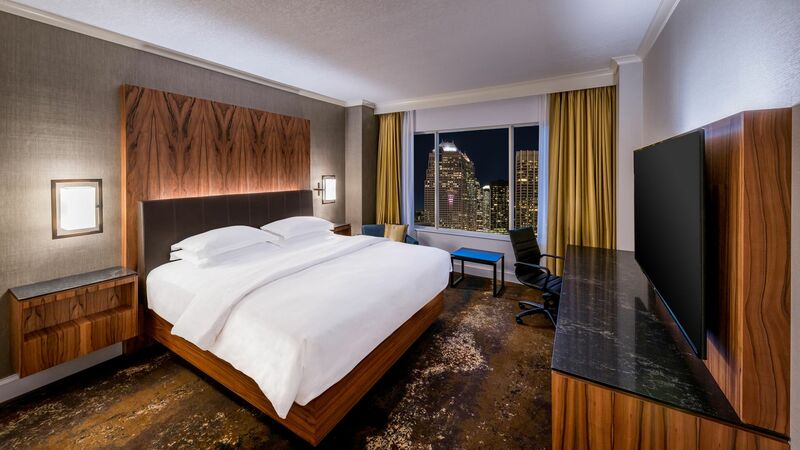 Enjoy expansive city or skyline views when you check into one of our 355 comfortable rooms featuring warm, natural textures and tones. 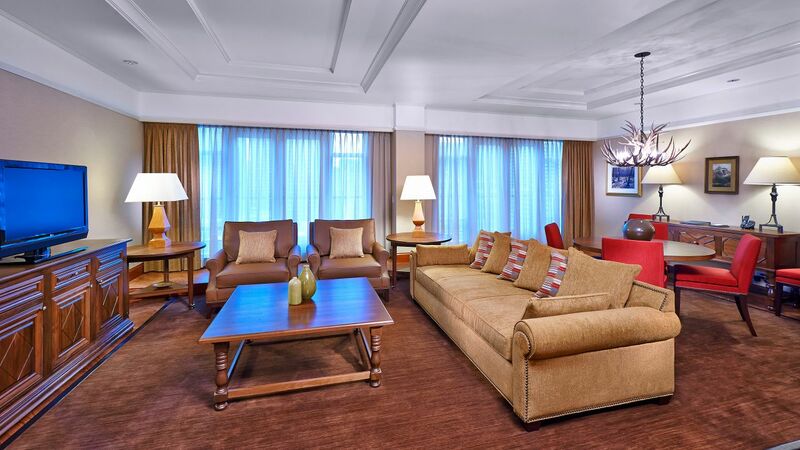 For the ultimate luxury in Calgary, upgrade to a suite—which includes complimentary Wi-Fi, Regency Club access, and more. 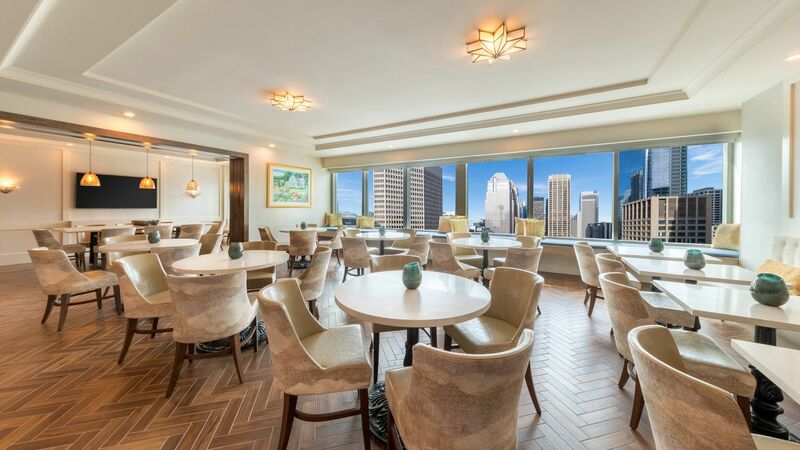 Upgrade your stay and gain exclusive access to the Regency Club, our executive lounge, where you’ll find complimentary breakfast, evening hors d'oeuvres, and coffee and tea—as well as stunning cityscape views. Plunge into our 3-feet-deep pool to swim a few refreshing laps, or head to the sauna or whirlpool to relax after a long day of meetings. Please keep in mind, children under the age of 18 must be accompanied by an adult, and there is no lifeguard on duty. The pool area is wheelchair accessible; the pool itself is not. 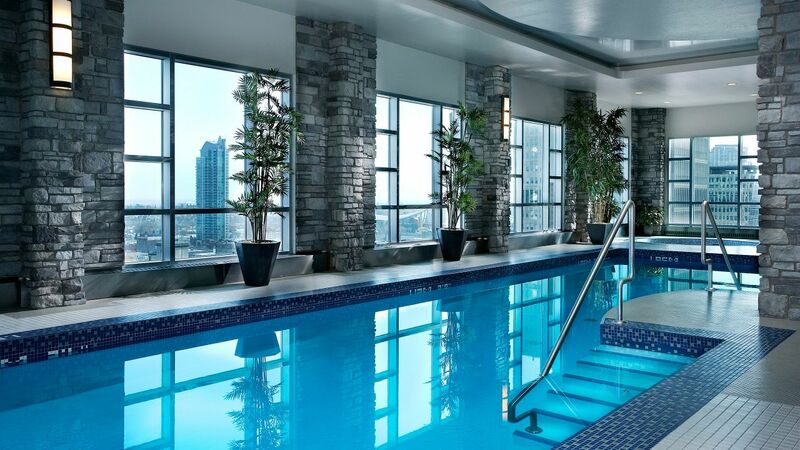 Keep up with your exercise regimen while overlooking downtown Calgary from our Fitness Centre located on the 18th floor. Stay fresh and hydrated with cool eucalyptus towels and filtered water as you use our complimentary free weights, yoga mats, and variety of exercise machines. 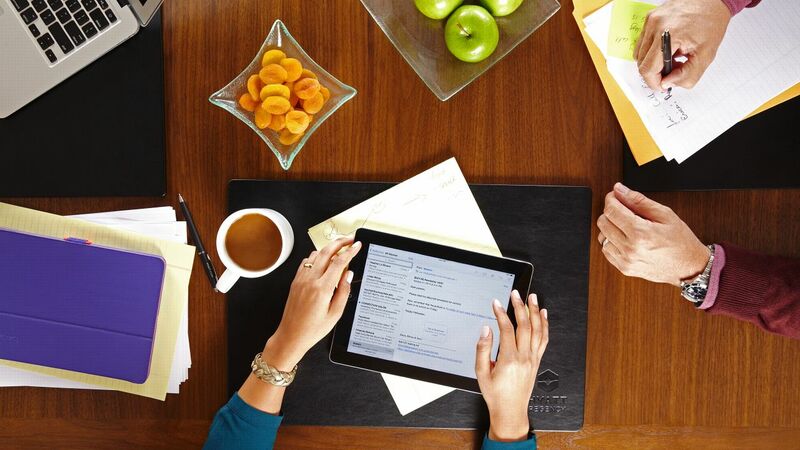 Need to send a fax, ship a package, make copies, or even rent presentation equipment for an event you’re hosting at Hyatt Regency Calgary? Our Business Centre staff will gladly assist you. 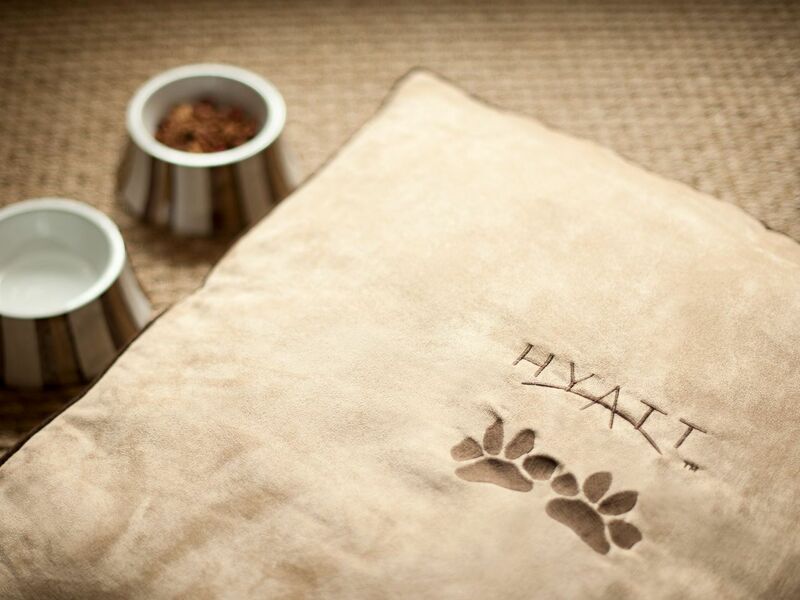 Your pets are welcome at Hyatt Regency Calgary. 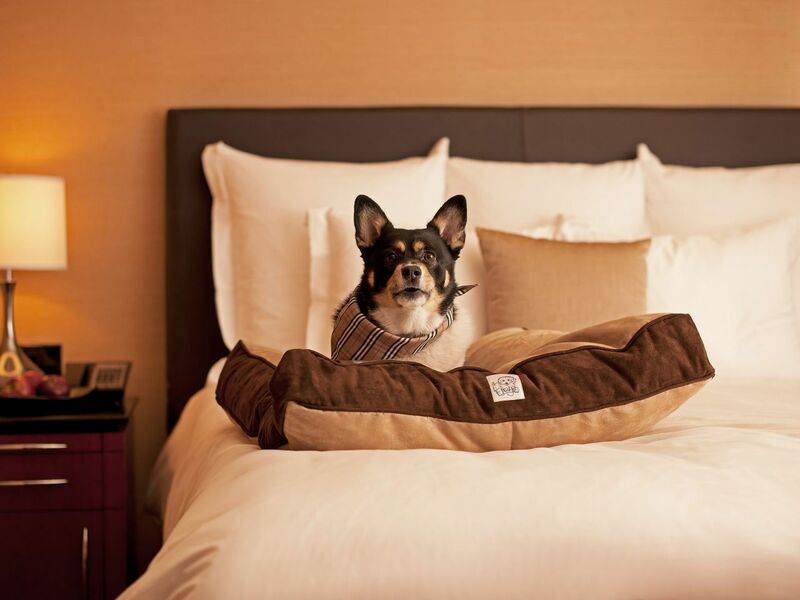 We provide a bed and bowls, and riverfront trails are nearby. 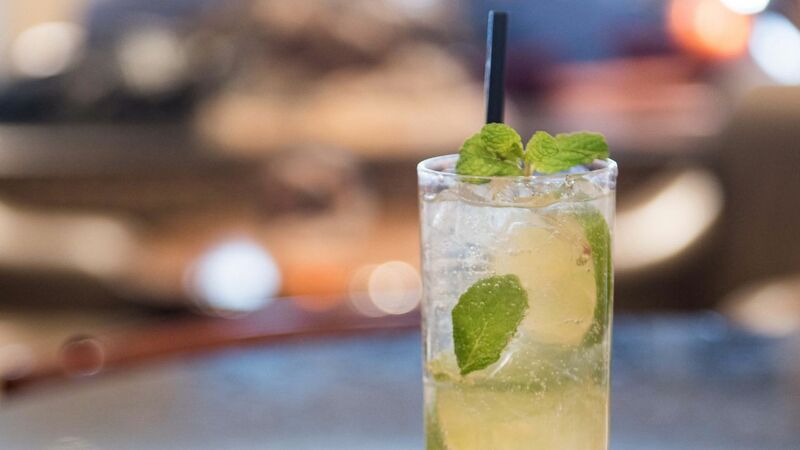 Hyatt Regency Calgary is delighted to announce exciting new directions for its casual dining restaurant and bar lounge. Come spring, Thomsons will be reborn as a unique, mixed-use space for business and socials while Sandstone will be redefined as an all-day dining serving breakfast, lunch, dinner and cocktails. Collaborate with our seasoned wedding planners and celebrate your big day in Calgary’s largest hotel ballroom. 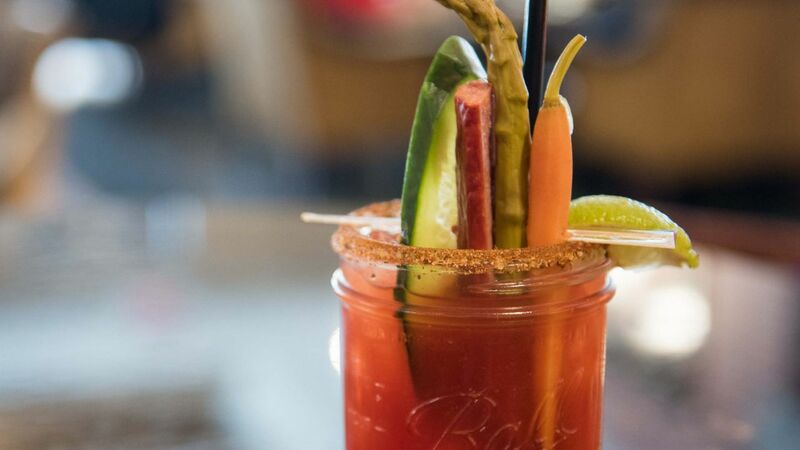 From event setup to catering, we’ll help you every step of the way. Enhance your next meeting when you host it in one of our 23 multifunctional event spaces in Calgary—complete with AV equipment and tech support—next door to TELUS Convention Centre. The location is right downtown, close to many restaurant options. Right from check in to check out, the service level was top notch. The rooms are very comfortable, with great amenities. 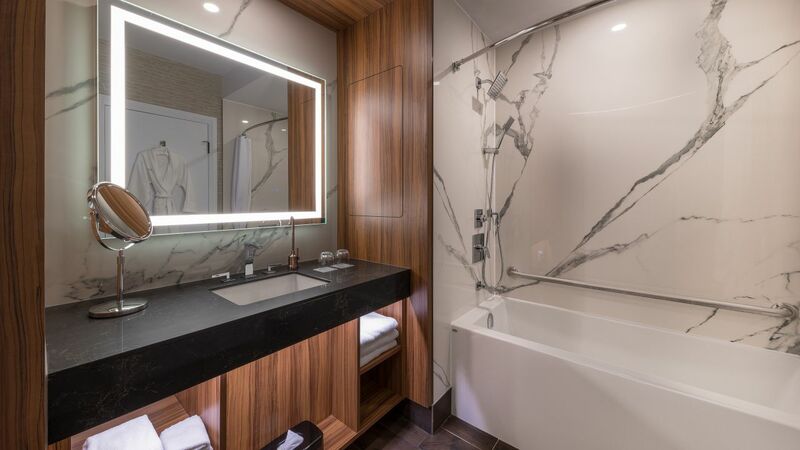 What else is happening at Hyatt Regency Calgary?